A-HOTEL.com - Luxury and cheap accommodation in Berkhino, Russia. Prices and hotel, apartment booking in Berkhino and surrounding. This indicative offer was derived from the most recently booked accommodation in Berkhino and sort by the price, from cheapest Berkhino accommodation to the most expensive hotels. To select accommodation by your preferences we recommend to choose from 1 accommodation offers in Berkhino in total. By entering the dates of your overnight stay in Berkhino and using the filter tools you can sort the best possible accommodation for you. The entered dates of your stay are crucial for the most accurate offer as it derives all the online information on pricing and availability of Berkhino accommodation. Then you can book the selected Berkhino lodging (hotels, apartments etc.) immediately. 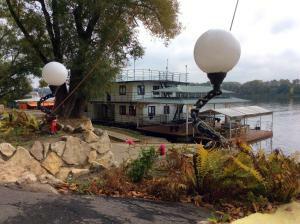 Located on the Oka River in Kolomna, Landing Stage Master offers free WiFi access and private parking. The Kremlin of Kolomna is 6 km away. Situated in Lukhovitsy, Garmoniya Hotel features free WiFi. The property offers a 24-hour front desk. Located on the Oka River in Kolomna, this hotel has an indoor swimming pool and a gym. Free Wi-Fi and free private parking are available. Hostel Slavyanskiy is located in Kolomna, a 15-minute stroll from the banks of River Oka and about 3 km from the city's historical centre. It offers 24-hour reception and free WiFi in all public areas. Guest House Gostishka offers accommodation in Kolomna. You will find a kettle in the room. Situated 4.4 km from Kolomna Museum of Pastila and 5 km from Kolomna Skating Centre, Апартаменты на Окском 7 provides accommodation located in Kolomna. Situated in Kolomna, 3.5 km from Kolomna Museum of Pastila and 3. Set in Kolomna, 3.3 km from Kolomna Museum of Pastila and 4. Set in Kolomna, 5 km from Kolomna Museum of Pastila and 5 km from Kolomna Skating Centre, Апартаменты на Окском 5 provides air-conditioned accommodation with a balcony and free WiFi. The property features city views. Апартаменты на Гагарина 16 in Kolomna provides accommodation with free WiFi, 4.1 km from Kolomna Museum of Pastila. Situated in Kolomna, 3.6 km from Kolomna Museum of Pastila and 3. Offering free WiFi and city views, Апартаменты на ул. Козлова is an accommodation situated in Kolomna. Set in Kolomna, 4.1 km from Kolomna Museum of Pastila and 4. PREMIUM apartment on Gagarina st. Situated in Kolomna, 4 km from Kolomna Museum of Pastila, PREMIUM apartment on Gagarina st. Features a living room with a flat-screen TV.